Every car manufacturer seemed hopeful in Geneva. The rise in oil prices doesn’t scare anyone yet, as we’ve all seen it before. There’s more reason to worry about economic growth, which remains shaky in Europe, but is still strong in China, India or Brazil, countries that make most manufacturers’ profits these days. What’s more worrying is that in our global economy, everybody’s trading with everybody. What’s left of the clothing industry could talk about how painful it is, but the auto industry hasn’t even started to suffer from it. We’re still waiting for that Chinese or Indian automobile, a no-thrill model that would appeal to bargain-hunters with a sale price no European or American competitor could match. Well, we may not have to wait much longer. Here comes the Tata Pixel. 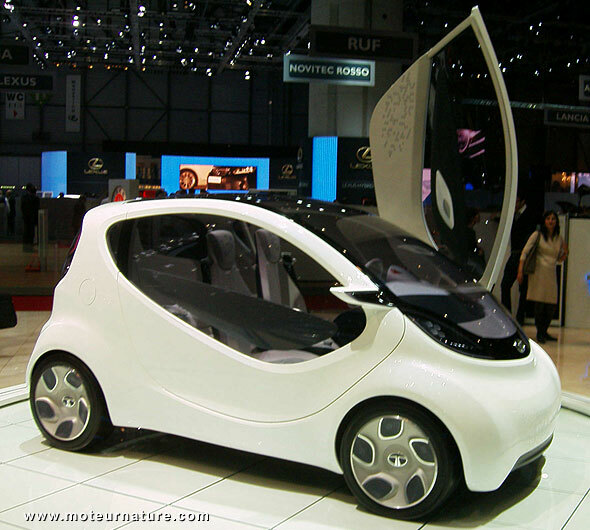 We already know Tata as the manufacturer of the Nano, the world’s cheapest car at 140.000 rupees (~$3,100). A car which is too basic for the sophisticated European or American driver. This Pixel is much more. It’s an Indian design, but much smarter, and much better built than a Nano. It’s a concept, so you must look beyond the huge doors and windows. 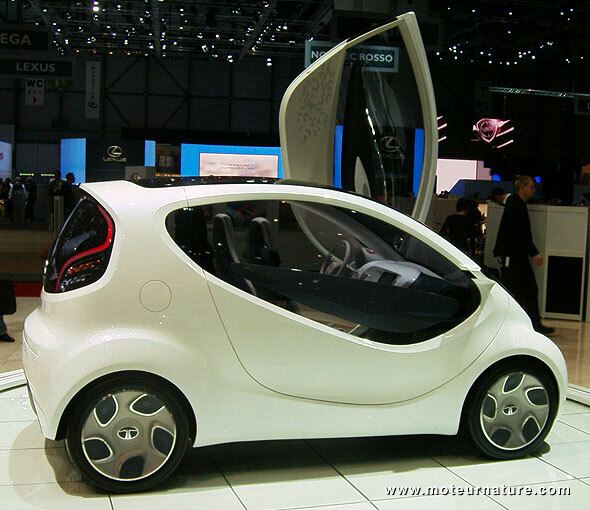 Imagine it with conventional openings and what you get is a very nice 4-seater city car. 122-inches long, 63-inches wide and 59-inches high, the Pixel isn’t electric. It’s not even an hybrid. High tech is out of the equation. Engine is a small diesel, a 1.2-liter turbocharged 3-cylinder giving 74-hp, with a simple Stop& Start feature. Tata doesn’t say a word about performance, and I expect it to be low, but fuel economy is great: 69-mpg in the official European cycle according to Tata. It’s too early to talk about a production version, but consider the ingredients. A good design, a bargain price thanks to cheap Indian manufacturing, and great fuel economy. This is the recipe to sell a car in BIG numbers in Europe. I’m sure Tata’s CEO knows that better than anyone, Carl-Peter Forster was formerly Opel’s CEO.